According to the FBI law enforcement shooting statistics, 40% to 50% of all police shootings occur under low light conditions or during dark time hours, so there’s a good chance you might need a flashlight for personal defense. The question is, will just mounting a flashlight on my handgun prepare me for a low light defensive shooting situation? 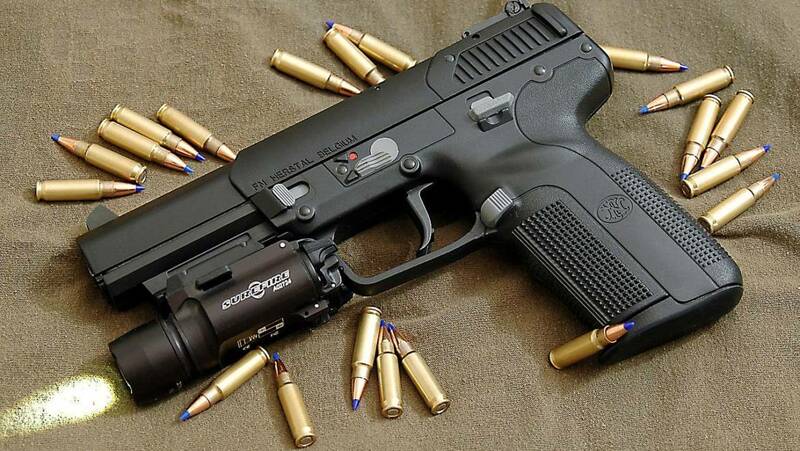 Most modern semiautomatic handguns come with a “rail mount” located in front of the trigger guard and beneath the barrel, and there are several powerful and affordable lithium battery flashlights specifically designed for quick attachment to these “rail mounts”. 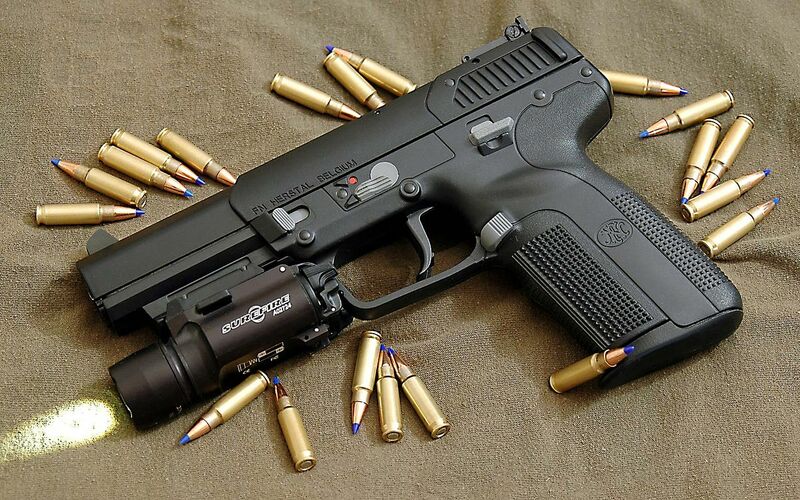 So, getting and attaching a flashlight to your handgun is relatively easy. Most people also think that they’re killing two birds with one stone, because a mounted light enables them to keep both hands on their handgun and use a flashlight to search for threats all at the same time. However, there are problems with just attaching a flashlight to your handgun. Problem number one, the vast majority of these mounted flashlight require the shooter to manually activate the flashlight with one finger. This complicates the use of the firearm and increases the difficulty, when it comes utilizing the weapon, especially if the situation happens quickly. Even if you get one of the grip activated flashlights, problems number two and three are still there. Problem number two, many people obtain and attach the flashlights, but they fail to get the proper training to use it. Herein is the problem. The first rule of handgun safety is always point the weapon in a safe direction; this means never at any person, unless you are justified in using deadly force against that person. Remember that right above the mounted flashlight is the barrel of the firearm. If you use the mounted light like a hand held flashlight to search for threats, you are violating the first rule of firearms safety. Problem number three, when you use a mounted flashlight to search for threats, you are letting a potential attacker know your location. There are two ends to the flashlight beam. One is on the object you are eliminating and the other end is leading right back to you, so the mounted flashlight should never be used to search for threats. The proper use of a flashlight in a personal defense situation is as a tool to accomplish what we refer to as, “Subject identification and threat verification”. This means using the light beam from the flashlight to illuminate the subject momentarily, so you can positively identify him/her as a friend, innocent party or a potential attacker. Now, if you identify the subject as a POTENTIAL attacker, this in and of itself is not justification to use deadly force. So, you need to move into our, “…threat verification” mode. Here you use the light beam to determine if the subject is placing you or another in an emergency situation, where you or they are in imminent threat of death or serious physical injury. Subject identification and legal threat verification must be accomplished, before any use of deadly force. These problems clearly exemplify why you should never just mount a flashlight to your handgun, if you don’t intend on getting the proper training in how to use it. Without the proper training, you won’t be killing two birds with one stone, instead you might just unjustifiable be killing a person with one careless shot or make it easier for an attacker to kill you. The right training with a handheld flashlight will enable you to easily activate the on/off switch with your support hand, so you can use it as an elimination tool, while holding the grip of the handgun with your shooting hand and pointed in a safe direction. A separate flashlight will also enable you to use it in any situation were a flashlight is needed without muzzling the barrel of your handgun in an unsafe direction. Handheld flashlights even eliminate the additional cost of purchasing a holster designed for an attached flashlight. Simply put, proper training with a handheld flashlight makes it simple to use while maintaining safe gun practices, and gives you all the positive tactical advantages as well.